Below is a paper I submitted to jcgt.org that unfortunately did not get accepted. Maybe next time! The main idea of this paper is that bilinear interpolation can be equivalent to the De Casteljau algorithm, which means that if you set up a texture in a specific way, and sample from it at specific texture coordinates, that it will in fact give you Bezier curve points as output! It scales up for higher dimensional textures, as well as higher order curves. The image below shows this in action for a cubic Bezier curve (3 control points) being stored and recalled from a 2×2 texture (there is actually a curve stored in each color channel). It was an interesting technique and they thought it was a paper worth reading. The usage case was fairly limited though – basically only when your are compute bound in your shader program, and have some curve calculations to offload to the texture sampler. Or if you are already using a lookup texture and would benefit from fewer instructions and smaller lookup textures. It could have been shorter due to the writing being shorter, but also it could have been less thorough. For instance, it didn’t need to show equivalence to both the De Casteljau’s algorithm as well as Bernstein polynomials, since it’s already known that those are equivalent. Evaluating Polynomials with the GPU Texture Sampler – Extends this to all polynomials instead of just Bernstein polynomials. This is made possible by the fact that you can convert any power basis polynomial to a Bernstein basis polynomial. Evaluating Points on Analytical Surfaces and in Analytical Volumes Using the GPU Texture Sampler – Extends this to surfaces and volumes. Improved Storage Space Efficiency of GPU Texture Sampler Bezier Curve Evaluation – Explores packing more curves into fewer pixels. Taking a Stroll Between The Pixels – Explores sampling off of the main diagonal from A to C, and sampling along non linear paths. The engineering manager of my team Paul Haban (@XpresoAdct) mentioned to me once in passing that when you fix a problem, you often get multiplicative returns beyond the initial problem you intended to fix. This is an idea from Kanban, and while it was in my best interest to believe this to be true, since it allowed to refactor personally painful inherited systems and code, it felt like a sort of mysterious voodoo and I wasn’t really a believer. I recently experienced it first hand though. I refactored something and the benefits started multiplying. People from distant sub teams came out of the woodwork very excited to hear about my changes. Of course, this happens from time to time, and it’s a lucky break to get benefits beyond what you were planning, but looking at it in hindsight, there are some really good reasons why this happened. This applies to source code, processes, etc, but for simpler language, we’ll focus on this being about code. Firstly, engineering is often about trade offs. You might see that solving a problem one way gives you certain benefits, while solving a problem a different way gives you other benefits. You weigh those things, talk to those affected to get their opinions in case you are missing information, and then you make the best decision you can with the information you have. Sometimes you make a decision based on the current state of things, but then the situation changes, and the choices you make turn out to be bad choices for the new direction that things have taken. Now your code has turned bad. Also of course, people sometimes people just make bad choices. We are human, we are learning, it’s how it goes. Sometimes people just make bad code to begin with. But ultimately, here is what makes code “bad”: If it works less than ideally for someone or some thing that has to interact with it, it is on the spectrum of “bad code”, ranging from terrible code, to code that could be cleaned up, but doesn’t really matter enough to fix. It also may be that code is bad for one set of interactions, while it is perfectly ideal for another set of interactions. This is the result of the trade offs weighed when solving the problem. That may just be a fact of life that you either can not really do anything about, or that in practical terms, you cannot do anything about due to cost versus reward analysis or whatever else. Lastly, like in my case, you may have inherited some bad code from someone else. In this case, it could just be that you have different goals, or that you prefer a different trade off (pain flavor if you will) than the previous maintainer. By definition, bad code is code that is less than ideal for a person, or code that has to interact with it. There are work arounds that have to be done to be able to get what is needed from the system. There may be perfectly reasonable things that interactions with the system may want to do that are not possible, or not practically possible with real world constraints. The more central this bad code is, and the more people that interact with it, the more that there is both workarounds, and desired functionality that can’t be realized. If you can legitimately refactor some code such that the result is decided to be better than where things are at now – say, there is less pain overall, or perhaps the pain is more concentrated on a group that nobody likes (hehe) – making that happen will make the code less bad. Again, bad code is a spectrum, so it’s likely you’ll hit situations where the code will never be perfectly good code, but making it less bad is a good thing. When you make code less bad, however you measure that, it means that the workarounds that needed to go up can start being taken down (simpler code, less maintenance, fewer things that can go wrong), and also, you open up the doorway for the improved functionality that was not previously practical. Another way to think of it is that the optimist will say that fixing things gives multiplicative benefits. The cynic (realist?) on the other hand says that the less than ideal code has already incurred both a one time cost to the people that have interfaced with it, as well as a continual maintenance cost that is incurred by it existing, and that those costs are or were avoidable. To me, this explains in a very down to earth way how the “voodoo” of multiplicative benefits actually comes about. It also shows a bit of how continual minor improvement really does add up (the main idea of Kanban), even when not taking into account things like the compound interest model (ie, saving you effort now allows you to save future effort sooner). Go clean up some code, or fix a broken process. You will likely be surprised at how much benefit you get out of it! I miss anything or you have a differing view? Let me know! 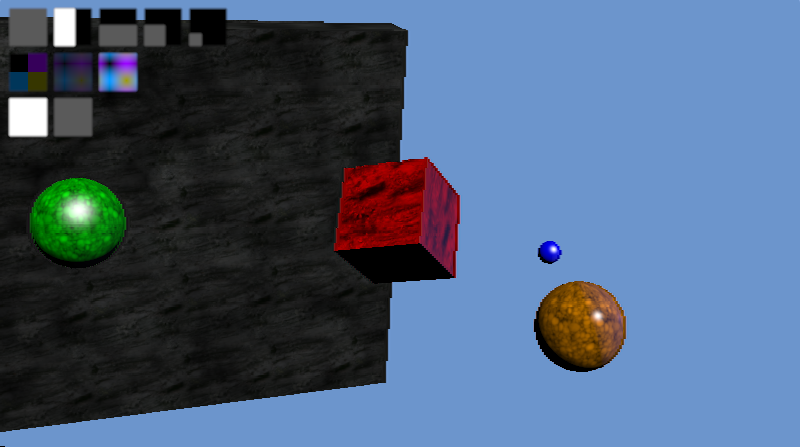 Failed Shadertoy “Dust” Game – Browsers Need To Compile Shaders Off the Main Thread! I was working on a Dust Game on shadertoy for a few weeks and got a decent amount of the way through it. Unfortunately I hit a snag. There’s a sad fact that browsers compile WebGL shaders on the main thread. If ever WebGL blocks for too long, browsers consider WebGL hung and reports to the user that WebGL crashed. The shaders for my game got complex enough that they were hitting the timeout while compiling, even though I wasn’t even close to being finished. So, I simplified a bit and published it unfinished, thinking that perhaps when WebGL 2.0 comes out this summer, I can revisit it. I’ve spent enough time on this thing so I’m going to leave it private for now, but I really think this shows a fundamental problem with WebGL. Since the shaders compile on the main thread (apparently in many browsers if not all! ), and detect a crash/hang by timing out, it means that when you write WebGL code, you really have to either keep things super simple in your shaders, or you have to be ok with having some amount of users experiencing “crashes” when the shader compiles time out on their machine. In other words, you have to choose between innovation and stability. Anyways, onto the next next shadertoy! I think I’m going to try to make one of those side view physics based car/motorcycle/bicycle hill climbing games. It turns out my understanding of the shader compiling process was a bit simplified. Read the link below for the full scoop, but in the end, the problem remains, because there doesn’t seem to be any way to query the status of the async work, so you seem to have to guess and hope you have enough work to do. In the case of shadertoy, there is no geometry to load, or things of that nature, so that makes it especially difficult to deal with.